Some time ago, I was asked to review a vast biography of Bertolt Brecht, the German playwright and poet, by an admirer of his work. It is seldom that one reads hundreds of pages about someone without coming across a single instance of a decent, kind, or selfless act, but so it was with Brecht. He couldn’t even be bothered to wash for the convenience of others. 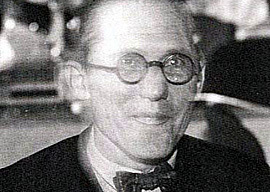 The French fascist architect Charles-Édouard Jeanneret, better known as Le Corbusier, was another of this charmless ilk, though cleaner than Brecht (a Marxist, the latter’s decision not to wash was his tribute, albeit not a very flattering one, to the proletariat). Jeanneret’s inhumanity, his rage against humans, is evident in his architecture and in his writings. He felt the level of affection and concern for them that most people feel for cockroaches. By rights, every architect, town planner, and structural engineer in the world ought to have a copy of Mr. Millais’ book by him, as a vade mecum of architectural, planning, building, and even moral pathology. This is unlikely to happen, for two reasons: First, it is expensive (one can only hope for a cheaper edition in a little while); and second, and much more important, Jeanneret seems to exert a (to me) unaccountable hold over architects and intellectuals who concern themselves with architecture. In France, for example (but not only in France), to criticize him is to put oneself beyond the pale of polite discourse, and indeed careers have been obstructed if not actually ruined by doing so. He seems to have established a grip over minds, and those who are attracted to him are attracted also to totalitarian methods of keeping control over opinion. While hundreds of fawning books have been published about him, describing him as a genius, etc., only a relative handful have taken a critical stance, and even those that provide ample evidence of his manifold defects and crime often refrain from drawing the obvious conclusions about him.